Ulrich Derigs was born 1950, he received a Master degree (Diplom) in Mathematics in 1975, a Ph.D. degree (Dr.rer.nat) in Mathematics in 1978 and a Ph.D. degree (Dr.rer.pol.) in Economics and Business Administration in 1981 from the University of Cologne. In 1985 he got his Habilitation in Operations Research from the University Bonn. From 1976 until 1980 Ulrich Derigs joined the University of Cologne as an assistant professor first at the Mathematical Institute with Prof. R. E. Burkard and later at the Institute for Industrial Engineering with Prof. Th. Ellinger. In 1981 he became a member of the Sonderforschungsbereich 21 (DFG) "Ökonomische Prognose-, Entscheidungs- und Gleichgewichtsmodelle" and an assistant professor at the Institute for Econometrics and Operations Research at the University Bonn with Prof. B. Korte. In 1985 he became the chairman of the newly founded Lehrstuhl für Betriebsinformatik and Operations Research at the University of Bayreuth, in 1990 he was appointed the chairman of the newly founded Seminar für Wirtschaftsinformatik und Operations Research (WINFORS) at the University of Cologne. Ulrich Derigs was visiting professor at several universities as for instance at the Department of Business Administration, University of Odense, Dänemark, at the College of Business and Management, University of Maryland at College Park, USA , at the Universidade Catolica, Rio de Janeiro, Brazil, at the Ecole des Hautes Etudes Commerciales, Jouy-en-Josas Cedex, Frankreich and the Technical University of Chemnitz, Germany. In April 2013 he retired from the University of Cologne. 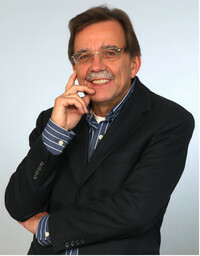 Ulrich Derigs has been a member of several scientific and professional organizations and has served on the editorial board of several jourbals. From 1988 until 1992 he was the Editor of OR-Spectrum. From 1993-1996 he was a member of the board of directors (Vorstand) of DGOR (Deutsche Gesellschaft für Operations Research). In 1997 he was president of DGOR and 1998 president of GOR, the newly founded German Operations Research Society, which is the merger of DGOR and GMÖOR. The research interests of Ulrich Derigs are in the areas of network optimization, combinatorial optimization and mathematical programming with emphasis on efficient algorithms and data-structures as well as on decision and data modeling and the conception, design and implementation of OR-based decision support systems. Ulrich Derigs ranks 20th in the 2009 Handelsblatt-Ranking of 2100 professors for Business Administration and Management in Germany, Austria and the german-speaking part of Switzerland regarding life-time research performance (http://www.handelsblatt.com/bwl-lebenswerk/). His research was funded by the Deutsche Forschungsgemeinschaft (DFG), Deutscher Akademischer Austauschdienst (DAAD), different private companies and the government. In addition, he has received numerous contracts and grants, has consulted for a wide variety of organizations. In 1999, he co-founded a management consulting company. The focus of this off-spring corporation was the development of intelligent corporate solutions in business with the application of analytical techniques and new IT-technologies.